James Ryon has appeared internationally as recitalist and soloist. Recent performances include the Bach D Minor Concerto with the Southern Illinois Music Festival, the Strauss Oboe Concerto with the Orchestra Sinfonica Brasileiraand both the Strauss Concerto and the Telemann Concerto for Oboe d’Amore with the UANL Chamber Orchestra in Monterrey, Mexico. 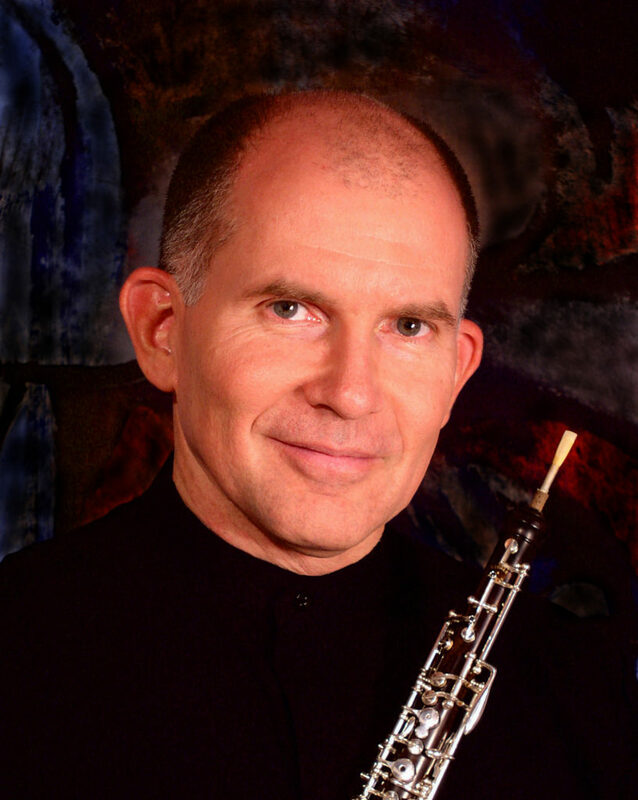 In 2011 he was appointed Professor of Oboe at the University of North Texas College of Musicand he continues to serve as the Principal Oboist of the Baton Rouge Symphony. He holds bachelor’s and master’s degrees in music from the Juilliard School and received performance fellowships with the Aspen, Berkshire, Blossom, Kneisel Hall and New College Music Festivals. His principal teachers were Robert Bloom and John Mack. Prof. Ryon has also served as Professor of Oboe at the Louisiana State University and the University of Akron, as well as Principal Oboist with the Akron Symphony, the Florida Orchestra, the Orquesta Filarmonica de Caracas, and the Orchestra Estadual de Minas Gerais in Belo Horizonte, Brazil. For 19 years he was a member of the Solaris Quintet in residence at the University of Akron. He has also taught at the Baldwin Wallace Conservatory; the University of South Florida, where he was a member of the Ars Nova Quintet; and the Caracas Philharmonic Conservatory, where he was Director of “Musica en las Escuelas”, a musical outreach program for the city of Caracas, Venezuela. Prof. Ryon’s interest and research in Brazilian music led him to organize BrazilFest ’91 at the University of Akron, perform at various festivals of Brazilian contemporary music, and establish the Burle Marx Brazilian Music Collection at the University of Akron’s Bierce Library. In March of 2000 he commissioned and premiered João Guilherme Ripper’s “Abertura Concertante” for Oboe, English Horn and Orchestra with the Akron Symphony. Prof. Ryon’s CD of 20th Century Brazilian Chamber Music for Oboe, Cello and Piano with the Burle Marx Trio has been released by Jeanné Digital. His two recordings with Solaris may be found on Capstone Records. With a grant from the Louisiana Division of the Arts in 2005, Prof. Ryon and the Burle Marx Trio inaugurated the Pelican State Chamber Music Series, a series of 12 concerts in New Roads and Baton Rouge, LA. Prof. Ryon’s wide-ranging musical experience includes tours and concerts with the Pittsburgh Symphony, the Cleveland Opera, the Cleveland Ballet, the Cleveland Orchestra, the Ohio Ballet, the Canton Symphony, the Charleston Symphony, the Bach Aria Group and the British rock group Emerson, Lake and Palmer. Born in San Juan, Puerto Rico, Prof. Ryon also holds a degree in Engineering and Applied Science from Yale University. For further information visit: http://ryon.music.unt.edu.